Renders of the Nokia 9 PureView have leaked online, revealing the device's design and key features ahead of its official launch. 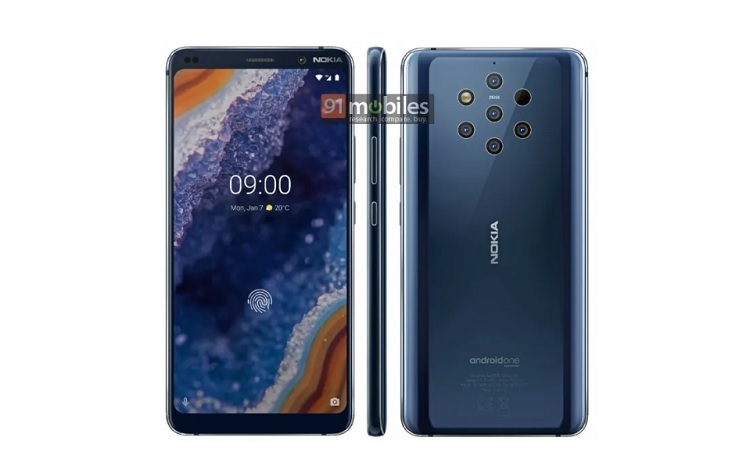 Just like other product images circulating online, the renders also showed that the Nokia 9 PureView will sport an unusual camera design with its five ZEISS shooters at the back. Meanwhile, its front seemed to be dominated by a 5.99-inch QHD AMOLED panel, but it’s noticeable that it has thick top and bottom bezels. If the images really belong to the upcoming flagship smartphone, then, it will be put behind other brands who are now embracing the full-screen design. Good thing, the device is rumored to feature an in-display fingerprint scanner. Under the hood, the handset is said to load a Snapdragon 845 chipset, 6GB of RAM, and 128GB of internal storage. Other notable features include 4150mAh battery that supports fast charging, USB Type-C port, and a 12-megapixel selfie snapper. 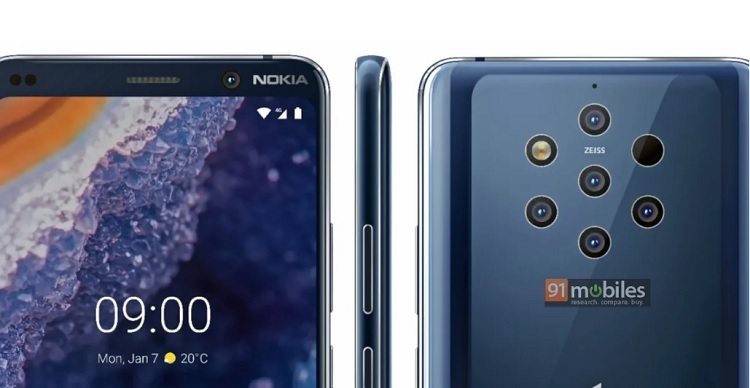 The Nokia 9 PureView is expected to be launched at the MWC 2019.